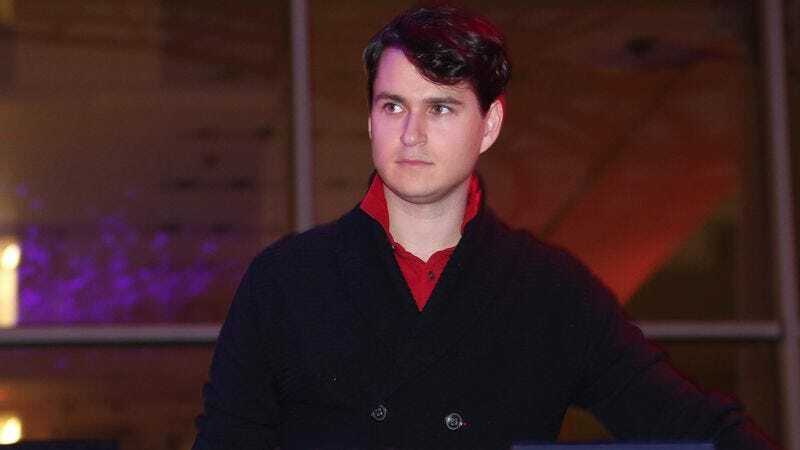 Vampire Weekend frontman Ezra Koenig is a noted fan of Weird Twitter icon Seinfeld2000, having previously performed the music for the parody account’s browser game adaptation of “The Junior Mint,” and he’s still carrying on the mission of imagining what Seinfeld would like if it were on today. In fact, that question popped up over the weekend on Time Crisis, Koenig’s Beats 1 show, and though Seinfeld2000 (a.k.a. comedian Jason Richards) wasn’t there, Koenig managed to do a weird Seinfeld thing all on his own. Specifically, he riffed a verse of John Lennon’s “Imagine,” but with new lyrics about Seinfeld. The song is short, but what’s there is so good that it makes us wish Koenig would do a full John Lennon/Seinfeld mash-up album—or at least write the full lyrics to “Imagine Seinfeld Back On TV.” C’mon, it isn’t hard to do.